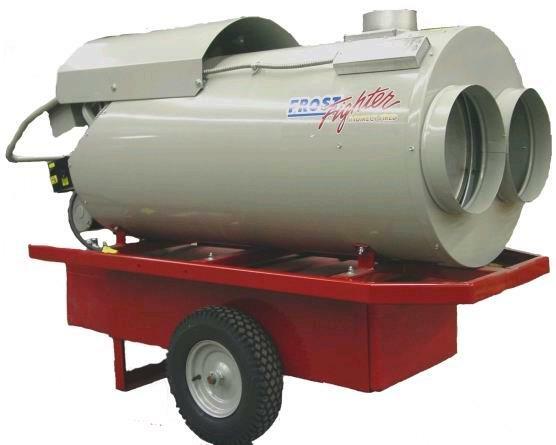 Clean safe dry portable heat, easily distribute heat to needed areas with 25' x 12" ducting. INDIRECT FIRED 12" DOUBLE DUCT HEATER 350,000BTU. Use with or without 12"x 25' max ducts and thermostat control for max fuel economy. CONTINUOUS OPERATING HOURS 20 Hrs no thermostat approx. * Please call us for any questions on our heater oil 350k indirect frostfighter rentals in Portland OR, Gresham OR, Milwaukee OR, and surrounding metro area.